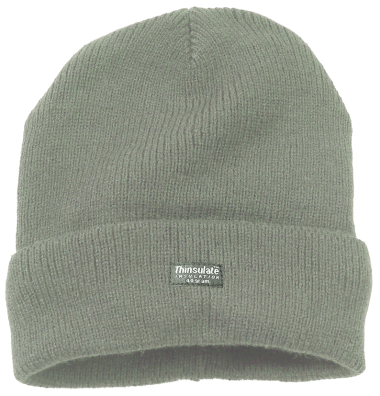 Perfect for those cold days where you need to grab a hat and go! This lined hat in olive is also ideal for the gardener in your family or for dog walkers to pop in a pocket if you get warm on a walk. Thinsulate insulation traps and holds body heat and it won't absorb water, making it a great hat for lots of ourdoor pursuits.